Now that the holidays are behind us, I’ve been wanting to dive in and make some simple recipes that feel hearty and appeal to everyone in our family. 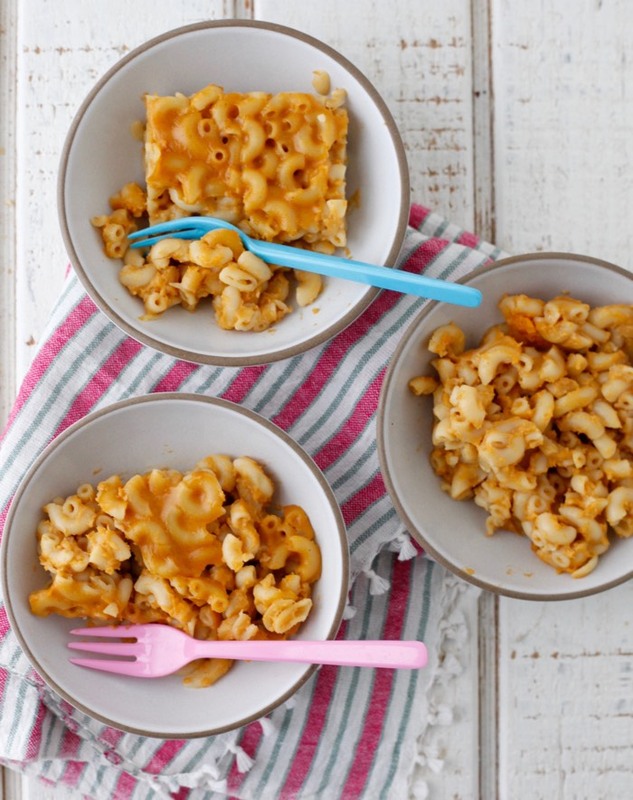 This week I’m making a bunch of dishes perfect for cold weather like Slow Cooker Chicken Burrito Bowls, Baked Beans in the Crock Pot and this Butternut Squash Macaroni and Cheese in hopes of hunkering in for our much needed staycation. The sauce is incredibly smooth and creamy with a touch of sweetness that clings to every bite of pasta. This isn’t mac and cheese with chunks of butternut squash cooked into it, though. I use Campbell’s Organic Creamy Butternut Squash Soup, so it’s also much lighter than most mac and cheese recipes without sacrificing anything while making it a real bonus as you move into the New Year. 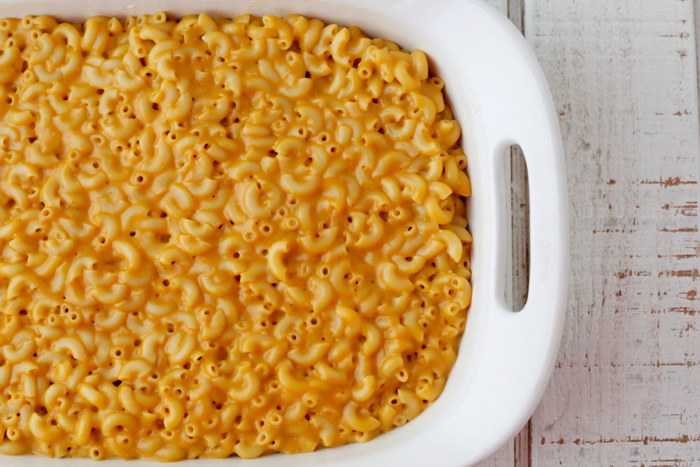 Sure you could get your veggies eating Green Mac and Cheese, but the butternut squash soup adds tons of bright flavor, nutrition and replaces much of the milk and cream in your everyday mac and cheese. Not only did my kids absolutely devour it, but it made enough for us to enjoy as leftovers for the following days. In the time it takes to cook the pasta you can mix and prepare the other ingredients making this a super simple recipe so you can relax and enjoy more time with your kids. Serve this Butternut Squash Macaroni and Cheese with a Winter Citrus Salad for a kid friendly get together that will have friends asking for the tricks to the dish their kids are eating up. Watch the video above to see just how easy it can be, and visit Campbell's Kitchen for more recipe inspiration. 2. Cook pasta in salted water for about 3 minutes less than package directions call for, until al dente. 3. While the pasta is cooking, in a large pot melt the butter and then add the flour, whisking continuously over low-medium heat for 2-3 minutes to make a roux. Slowly whisk in the milk and bring to a boil. 4. Reduce heat and simmer, whisking occasionally for 3-4 minutes, or until the sauce is gently bubbling and starting to thicken. 5. Add the cheese, Campbell's Organic Creamy Butternut Squash Soup, and salt. Whisk until cheese is melted. 6. Stir in the pasta, transfer to a greased 13 x 9 inch baking dish and bake for 20 minutes, until the cheese is bubbling and the pasta is set. You can also serve this straight off the stove top without baking. Can we use fresh steamed butternut squash instead of the soup? What other modifications would be necessary? Thank you! I love all your recipes! If you use steamed butternut squash, you should puree it so it is the same consistency as the soup! I love your recipes and ideas but ........ Yuck. The soup is soooooo nasty. Sorry. the soup is also expensive so what a waste. It ruined the whole dish. You never know unless you try though. I tried this recipe last night and we enjoyed it! I chose the Pacific Natural Foods organic butternut squash soup instead and left out the salt (figured soup had enough!). It was super cheesy and creamy and lightly sweet. I will make again (was also quick for a weeknight dinner). Very good! I used an organic low-sodium butternut squash soup, it was delicious. Thank you for your great recipes. This one was a winner with even my picky eater..she did add ketchup but still her plate was empty so thats success in my book! My 1 year old loved it! I thought the soup was good, made the recipe easy and quick! So glad to hear this was a hit! Hi there! I realize that this recipe was posted a while ago - but I'm looking for a last minute side dish for my family this Thanksgiving, and am wondering if you have tried this in the crockpot? If so, any adjustments that should be made, and what temp and for how long, please? Our oven is already going to be stuffed and in overdrive...so, basically unusable - lol. Thanks so much, in advance! Amazing recipe to hide veggies! My son isn't the pickiest of picky eaters, and this recipe worked beautifully!! 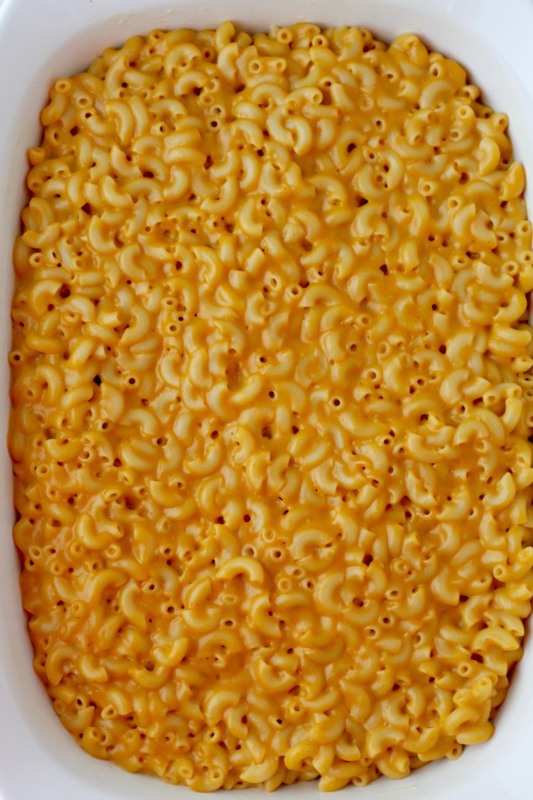 We didn't bake it, as we like Mac and cheese saucy! Next time I will: heat the milk and soup before adding to the sauce to hopefully avoid the little bit of gritty that happened to my sauce. This will be on a weekly rotation.